Located in southwest London and considered one of the major centres of Greater London, Putney is home to a number of professionals in various industries and boasts a diverse population and plenty of different activities. But it's hard to enjoy anything that the community has to offer if you're facing a need for appliance repair. 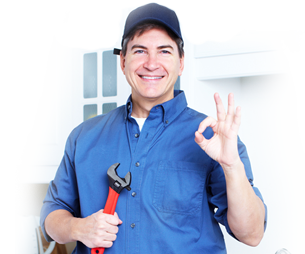 We know that a need for appliance repair in Putney is important, and that's why we employ numerous Putney appliance engineers who are highly skilled and capable of providing results to your appliances no matter what the specific problem may be. It's vital that you get help with appliance problems quickly. When appliances fail it can throw your entire life and schedule off kilter. And minor problems can often lead to major emergencies if left unchecked - that leaky connection could turn to a burst pipe and a flooded laundry room, for example. At Putney Appliance Repair we focus on giving our customers the kind of repairs and service that they deserve no matter what the situation may be. We back our repairs with a six month guarantee, and our low rates begin at just 70 pounds and often don't exceed that figure by much. We've spent time finding the best local Putney appliance engineers so that you don't have to struggle trying to find them. We'll be able to send out our experts to your home quickly and deliver the kind of service you deserve. And since we use local engineers, you'll get friendly, high-quality service that larger companies just can't match. For all of your Putney appliance repair needs, be sure to contact us and let us help. © 2019 Putney Plumbers (SW13), Plumbing in Putney, Plumber (SW13, SW15), No Call Out Charge, 24 Hour Plumbers Putney (SW13, SW15). All Rights Reserved.